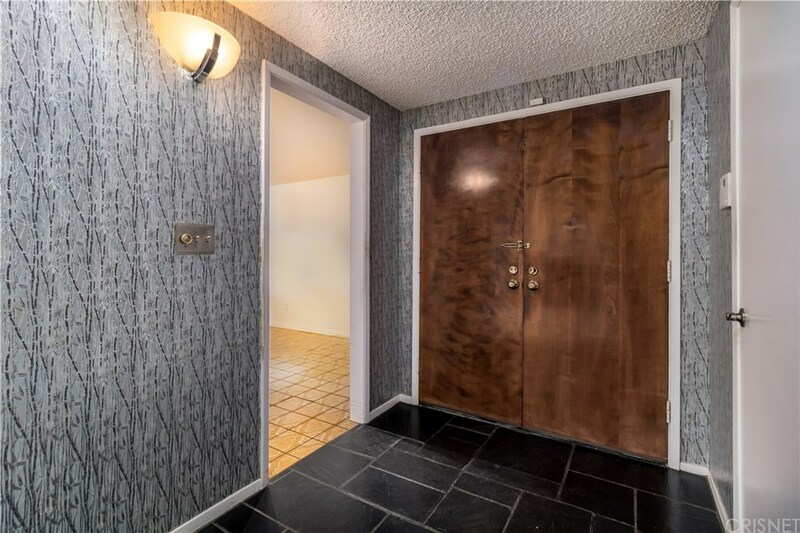 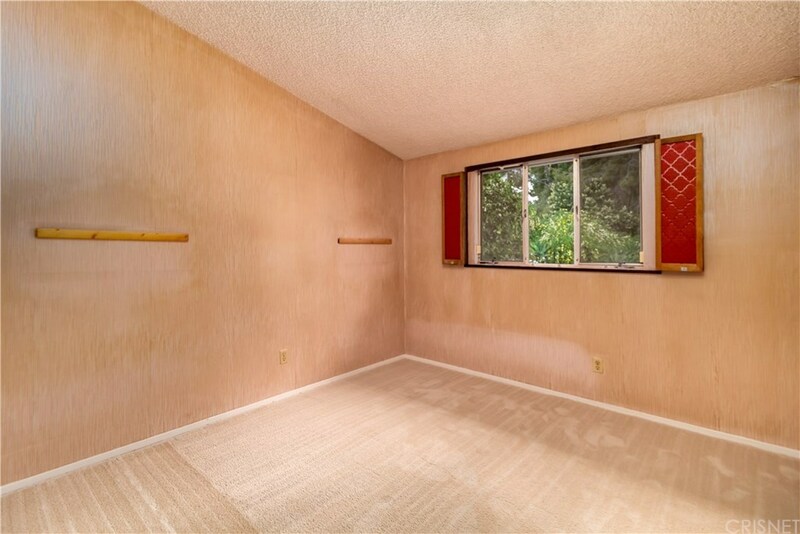 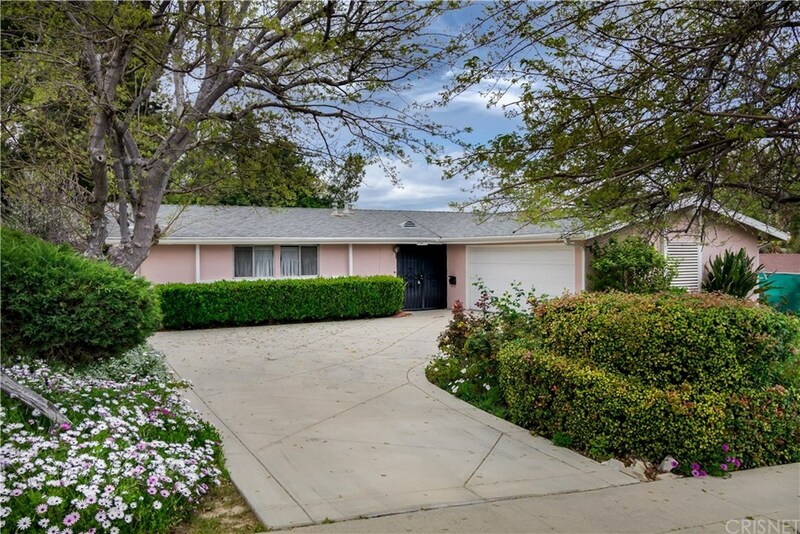 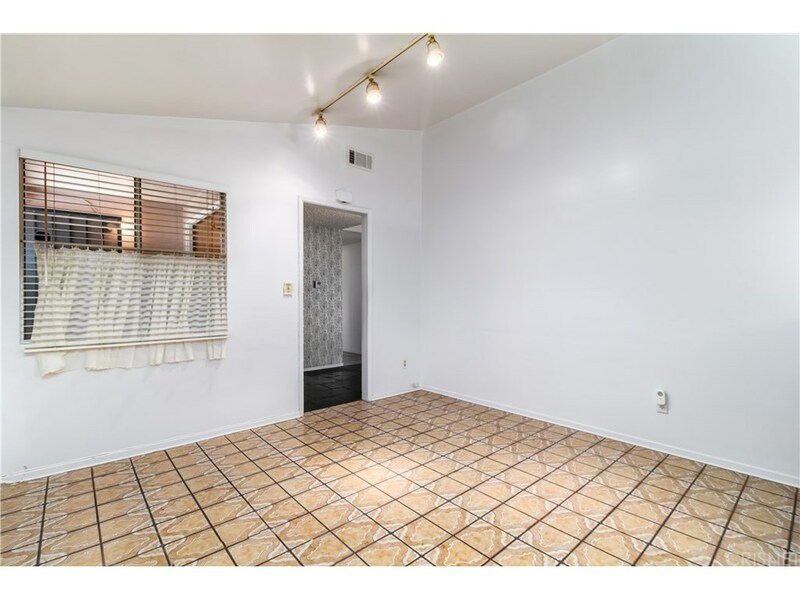 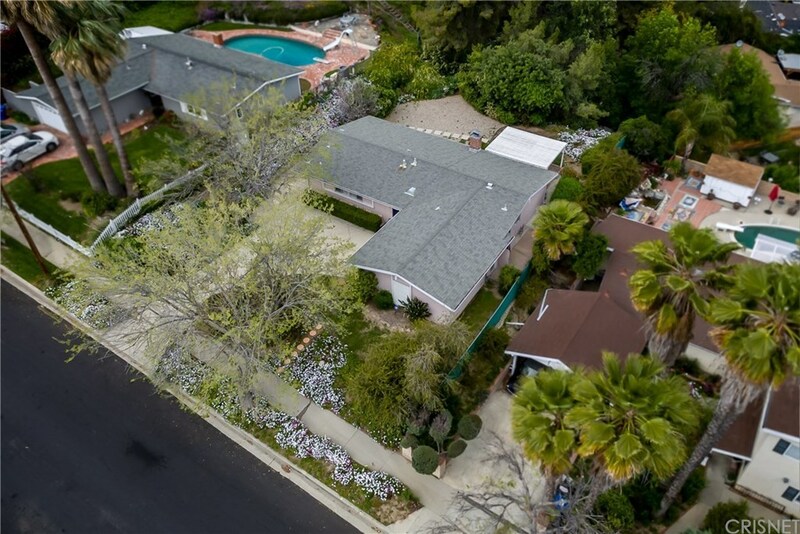 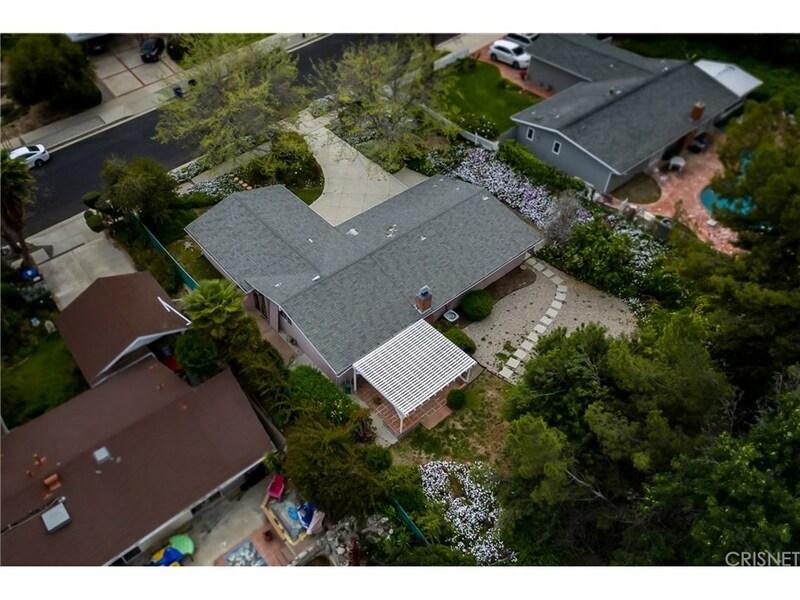 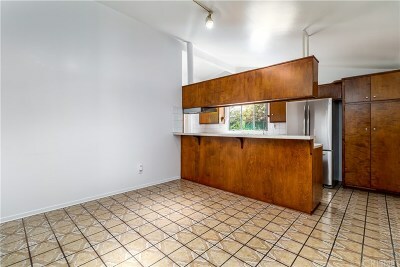 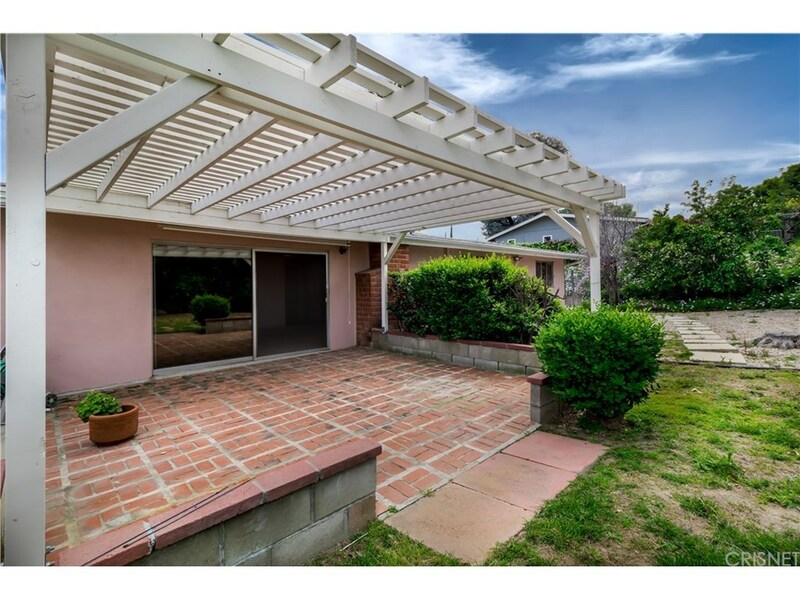 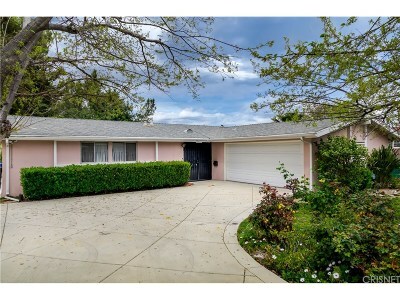 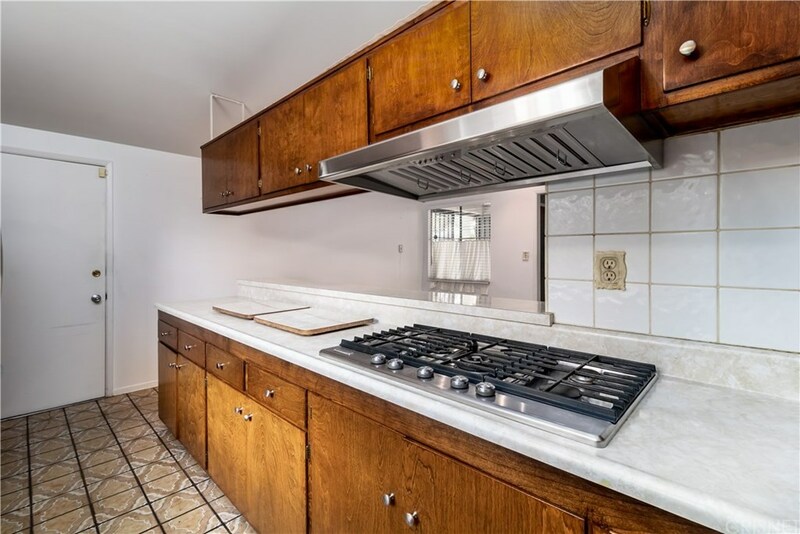 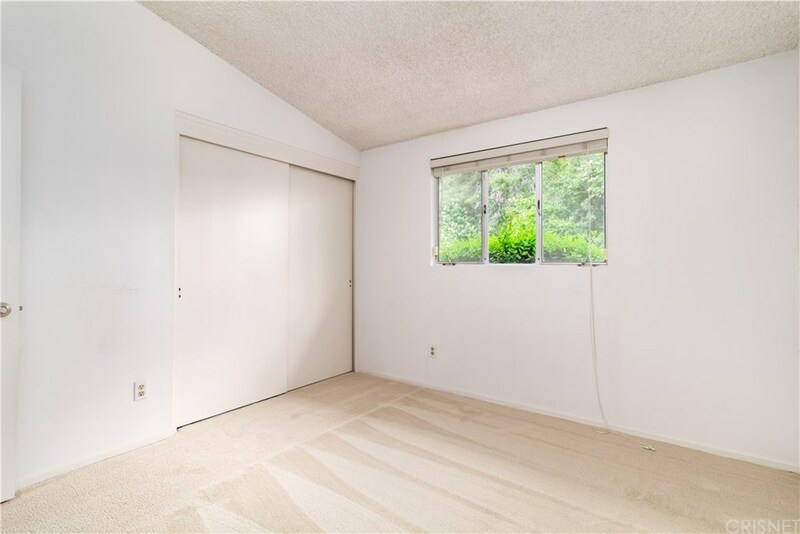 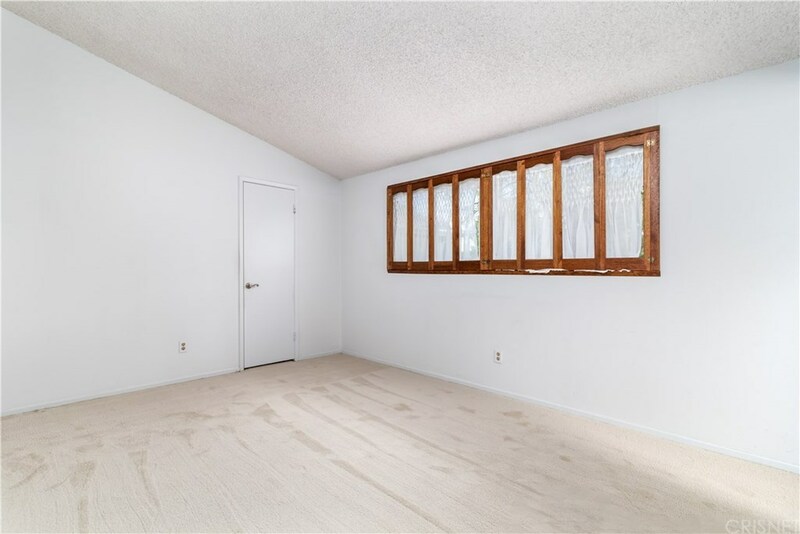 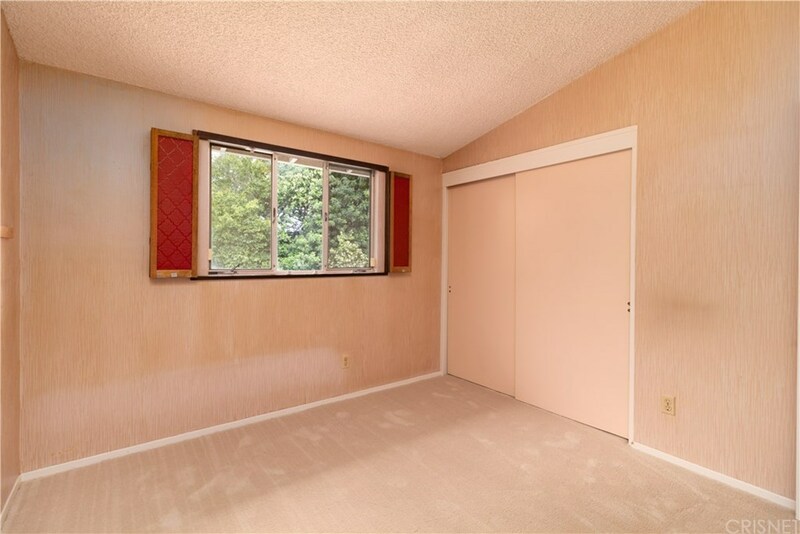 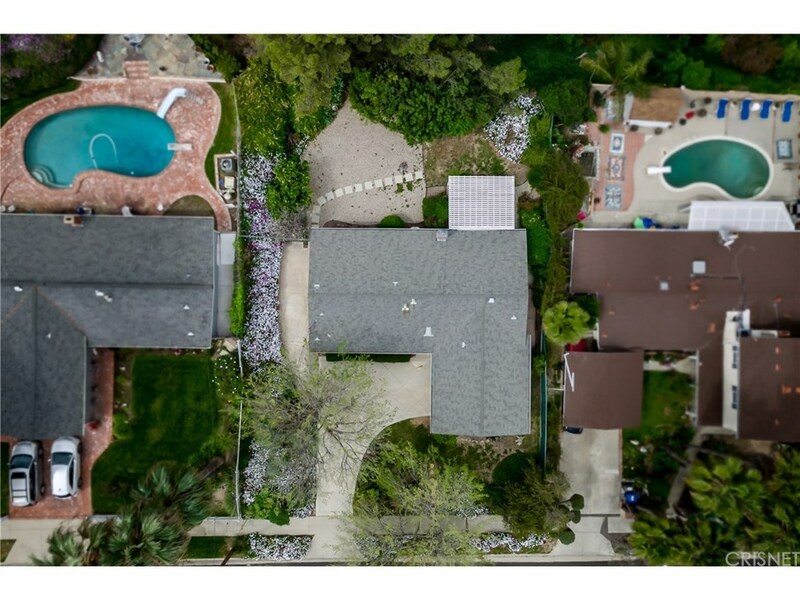 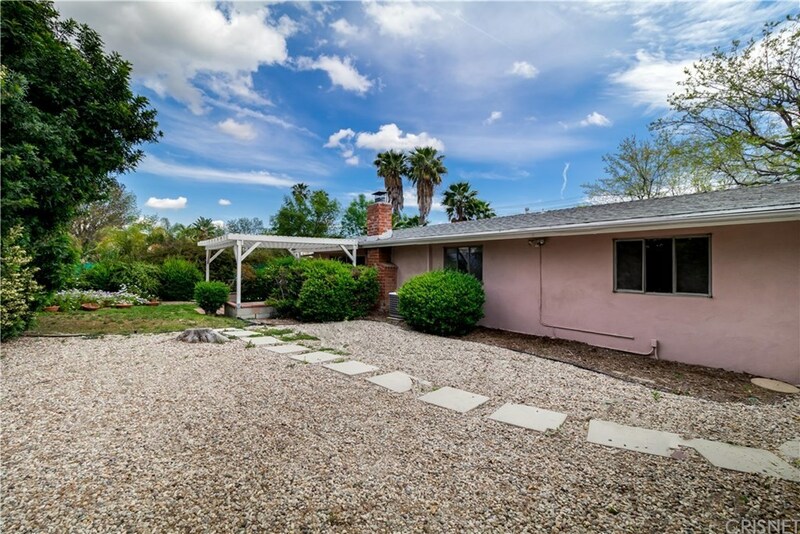 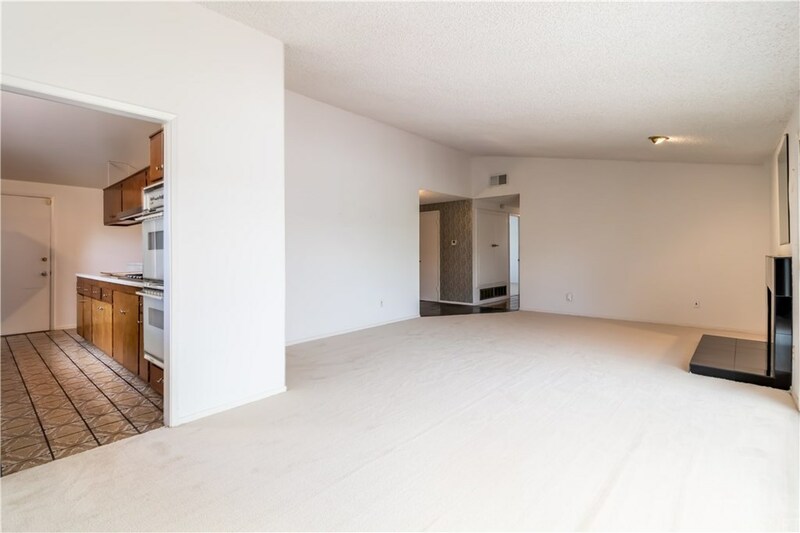 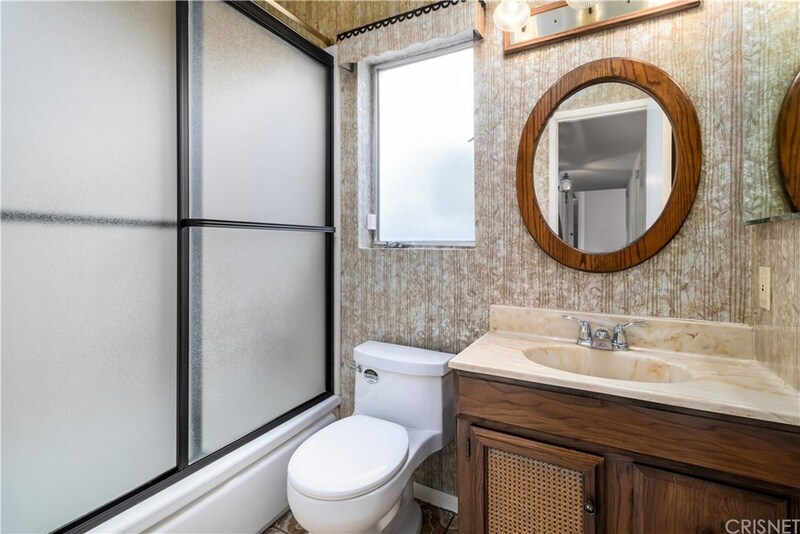 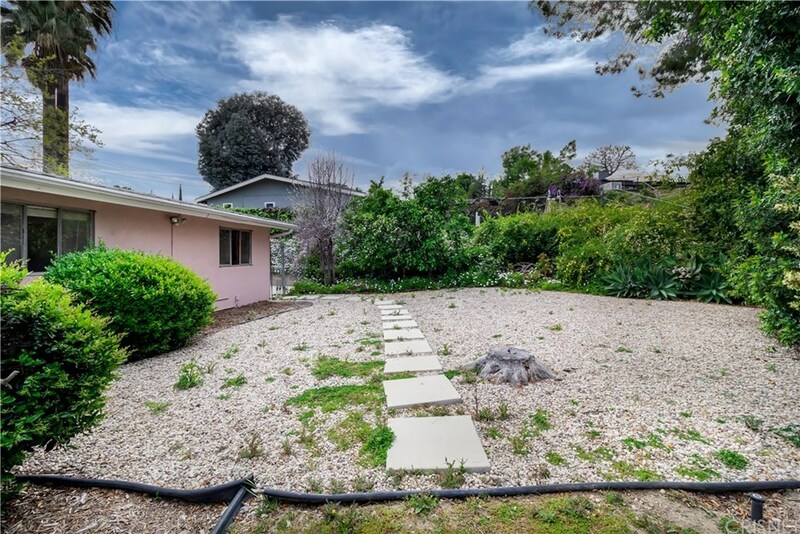 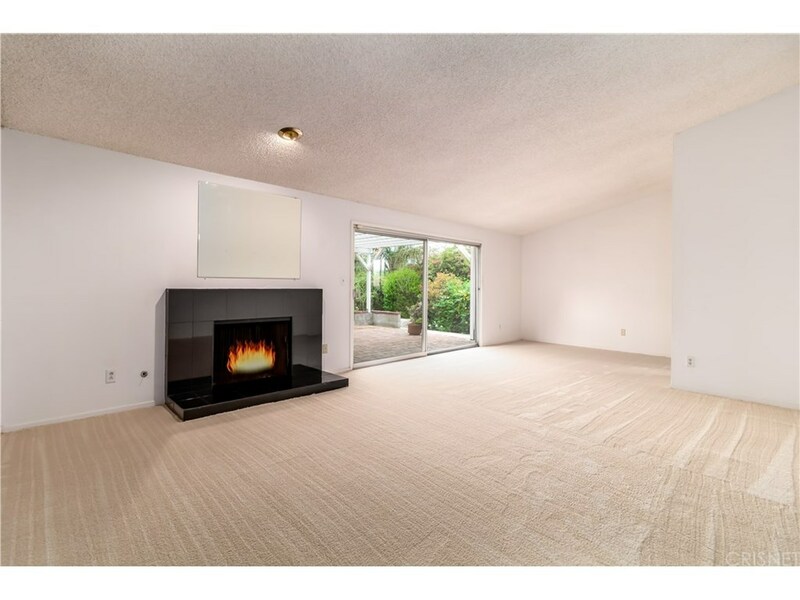 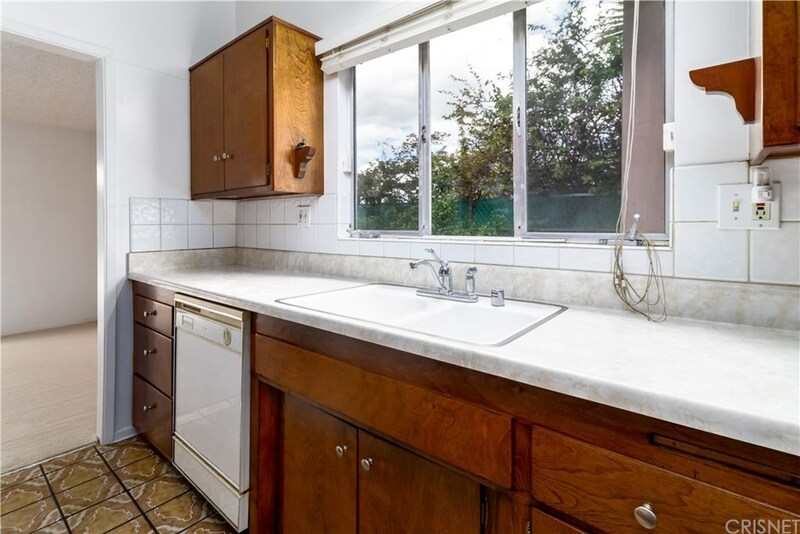 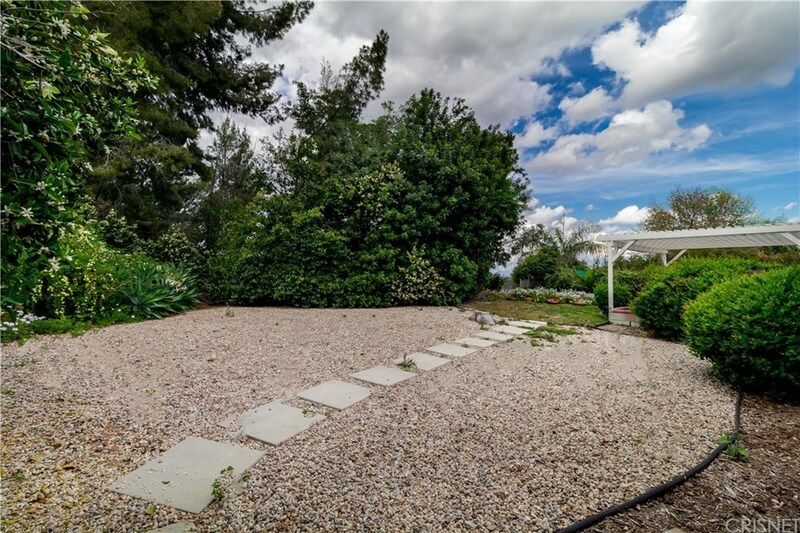 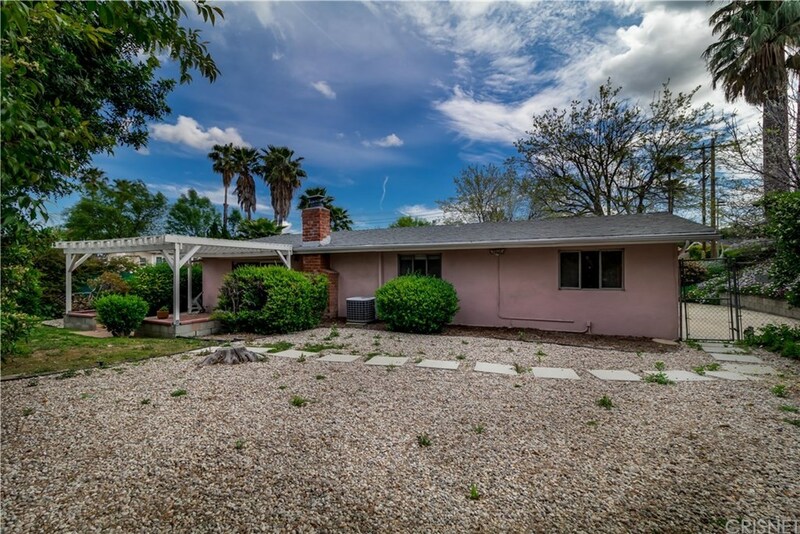 Classic California mid-century modern 3 bed, 2 bath, 1,404 sq ft home in the heart of the desirable Carlton Terrace neighborhood in Woodland Hills. 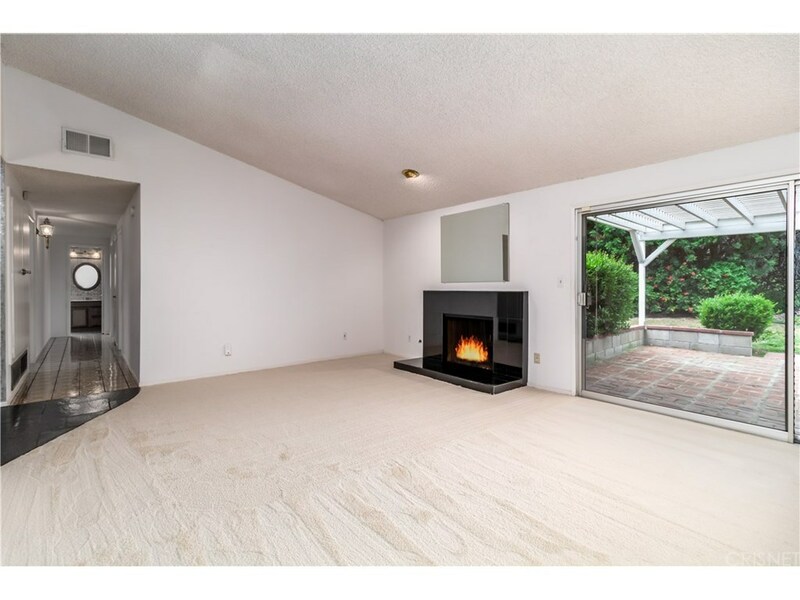 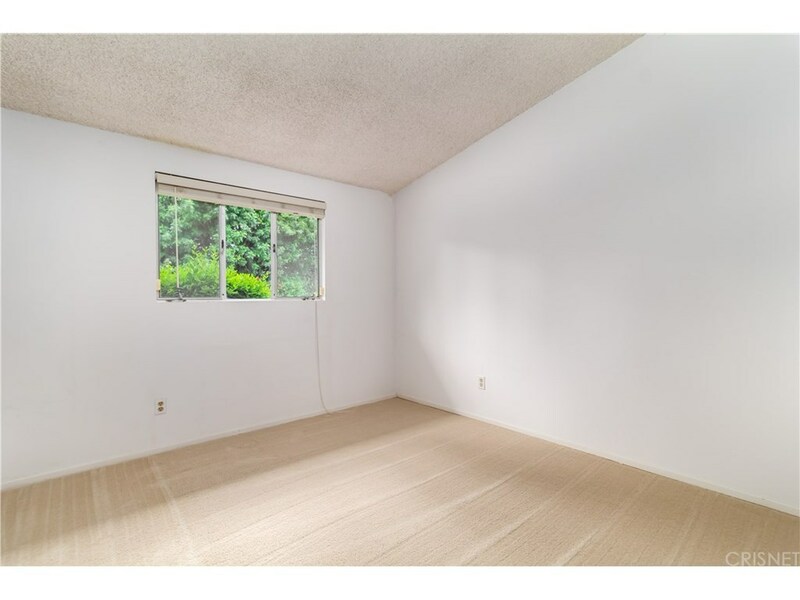 The home features high, vaulted ceilings throughout, giving the space and bright and open feel. Double door entry leads to formal, tiled foyer. Spacious large living room/ dining room with vaulted ceiling and fireplace. 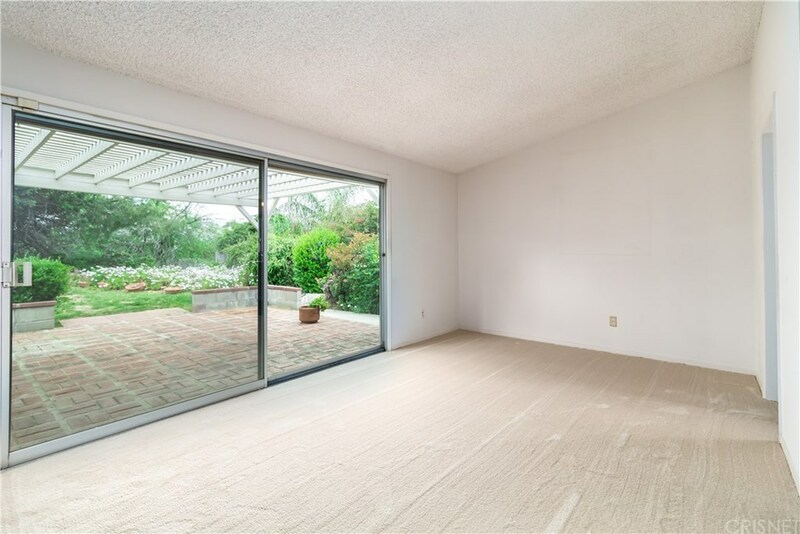 Sliding glass door opens to covered brick patio and private backyard. 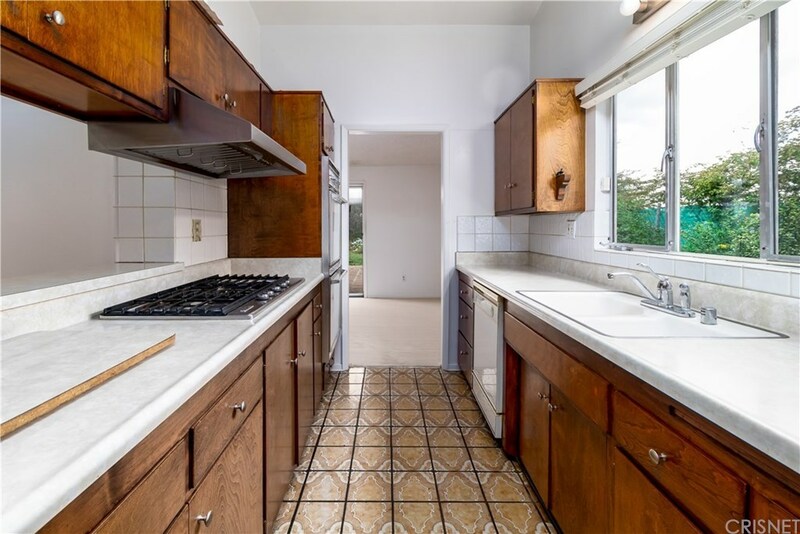 Galley-style kitchen boasts large window, ample cabinets for storage, breakfast bar, and built-in appliances including double oven and. 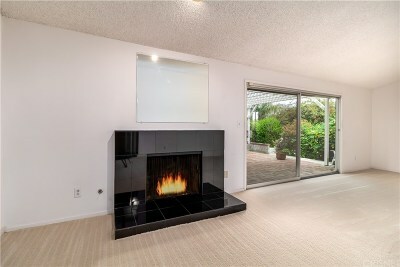 Flows into the family room. 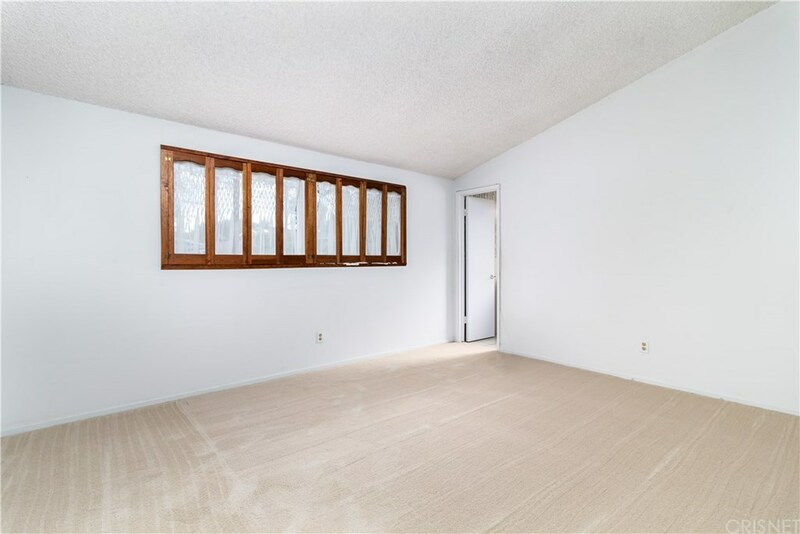 Master suite features large window with ample light, walk-in closet, and en-suite ~ bath. 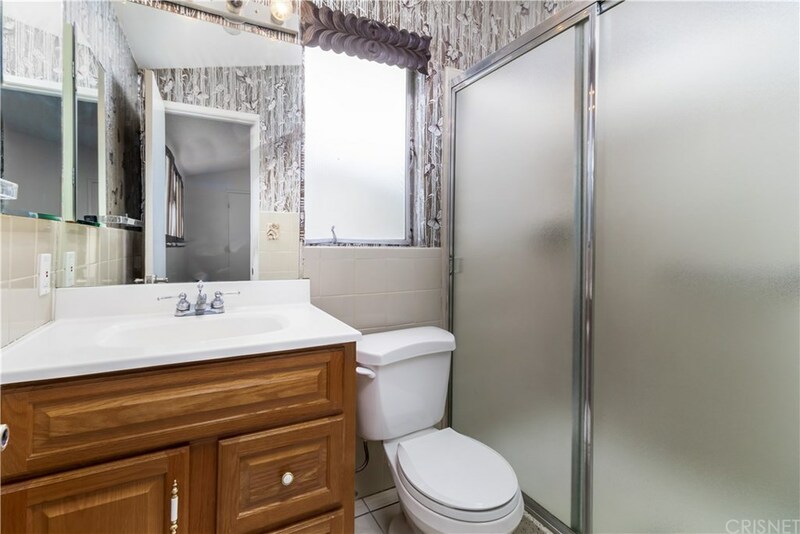 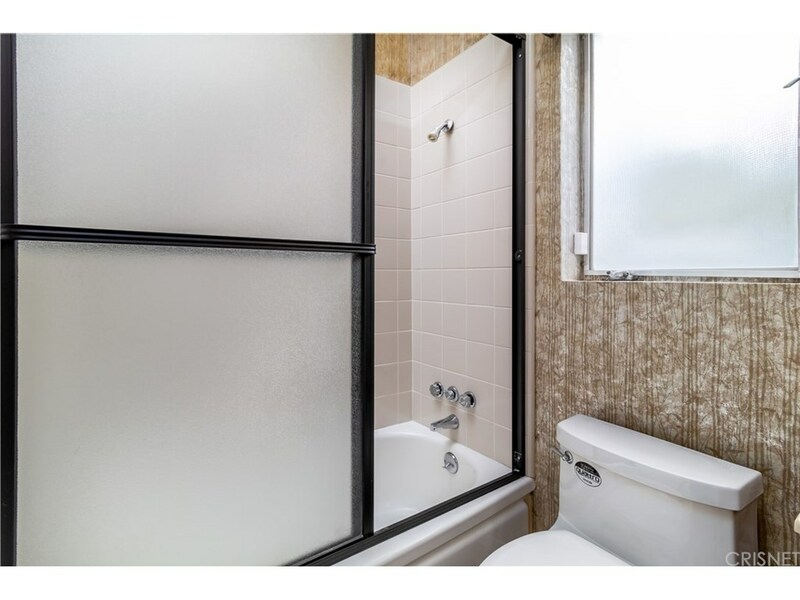 Two sizable bedrooms share full hall bath. Vaulted ceilings throughout. 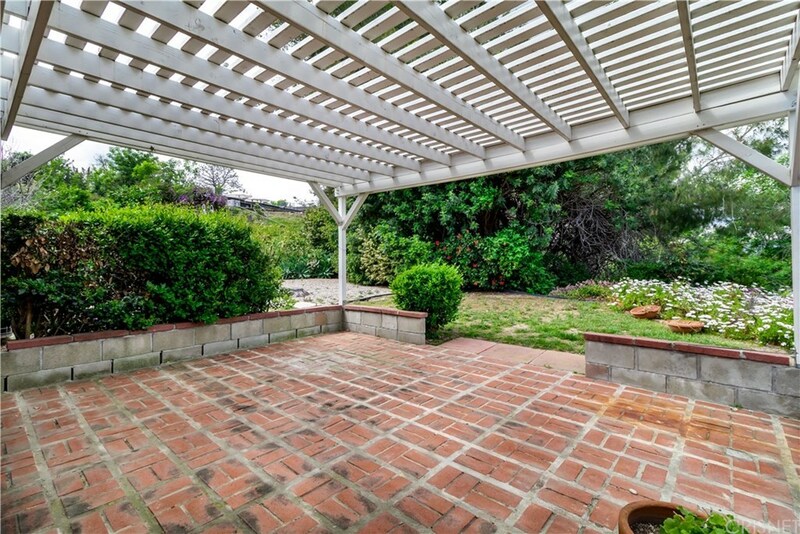 Charming pergola shaded brick patio is perfect for dining al fresco or entertaining. 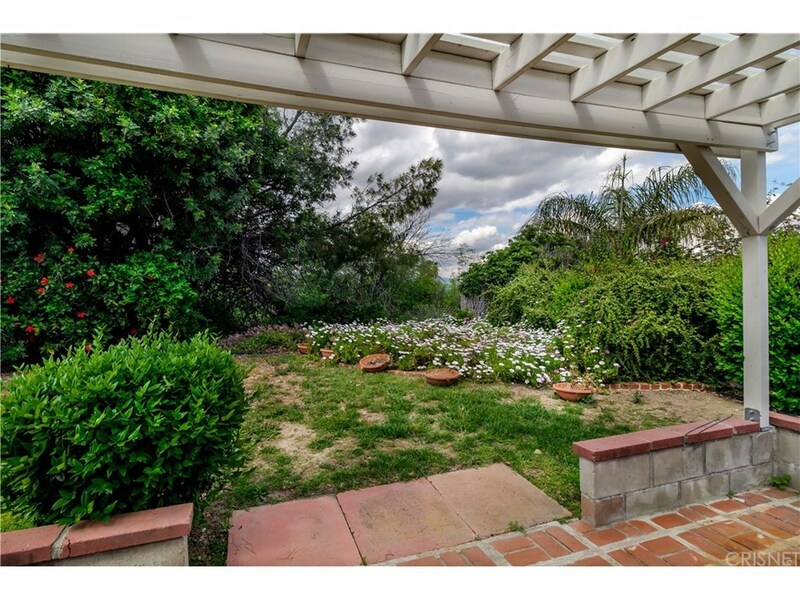 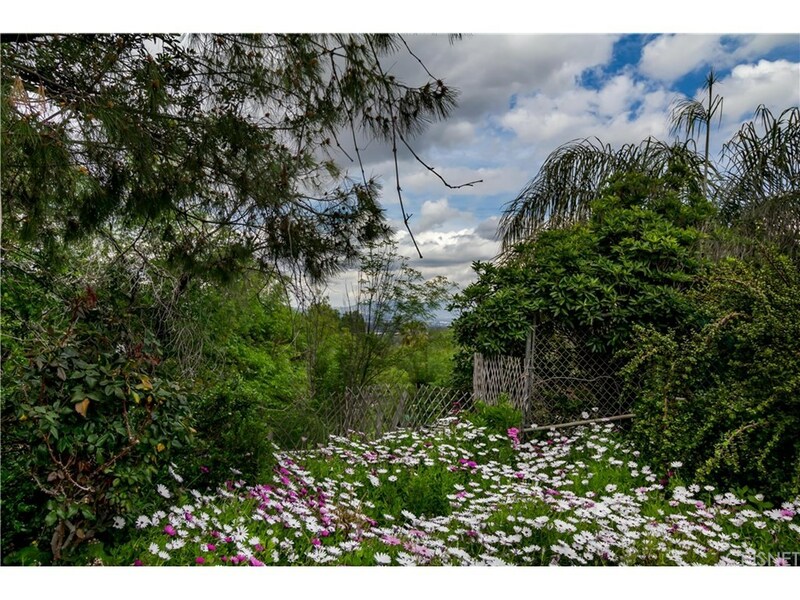 Backyard combines lush, verdant landscaping and drought conscious landscape with a peek-a-boo view offering a private oasis. 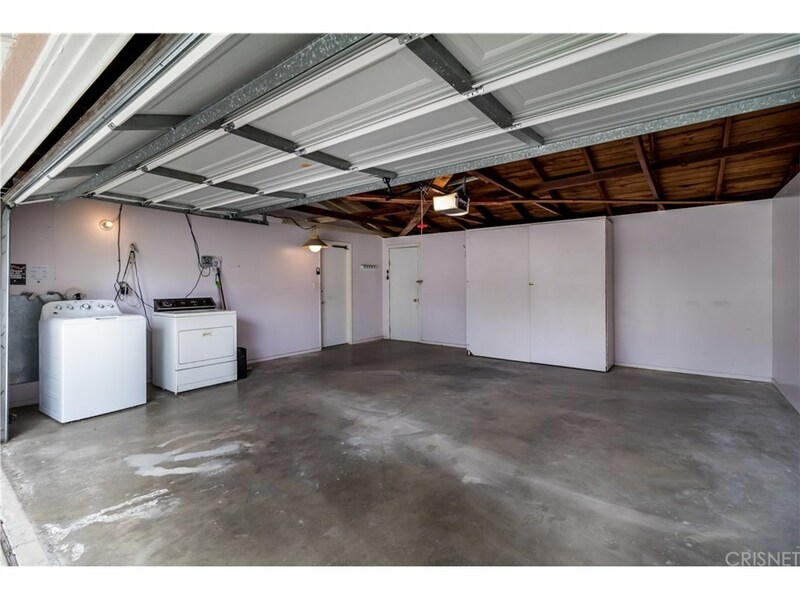 Attached 2-car garage with direct access includes laundry area. RV parking. 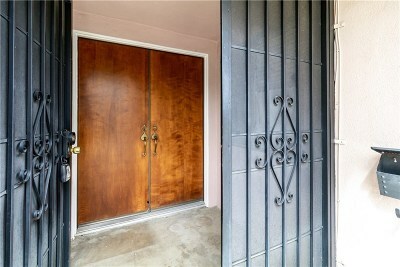 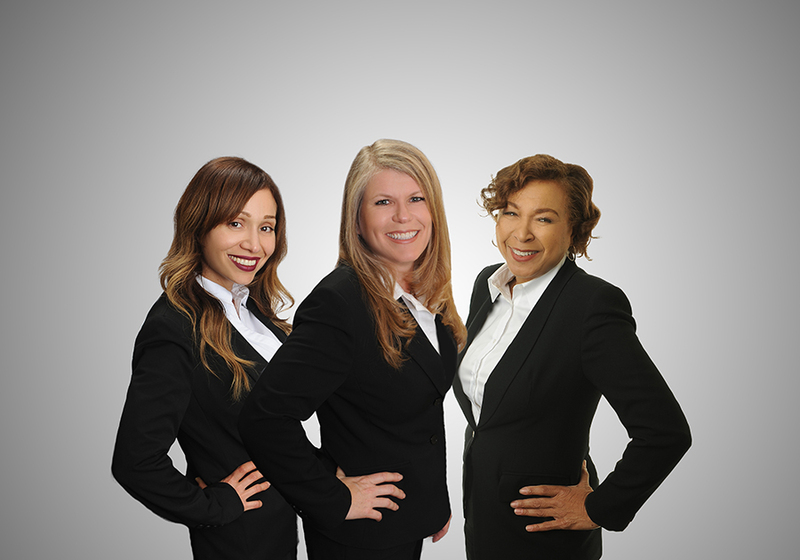 Fantastic location, close to transportation, The Village, shopping, dining, and recreation on Ventura Blvd.